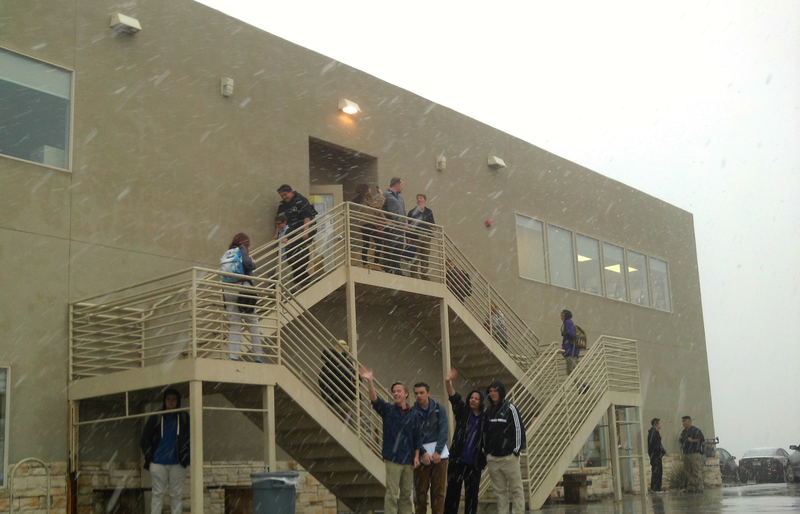 Scholars out at passing period during today’s snowfall. I hate this weather and I hate this school and most importantly I hate all the people who go to this school! !